CIVIL servants convicted of defrauding tens of thousands of pounds from the taxpayer are being allowed to continue working in the public sector because government departments refuse to alert each other that their employees have been found guilty of embezzlement. The shocking revelation comes in a National Fraud Initiative (NFI) due to be published today. The report, written by Northern Ireland Auditor General Kieran Donnelly, compared data from more than 107 public bodies including Stormont departments, statutory agencies and councils as well as health and education trusts in a bid to identify evidence of potential fraud and error. Auditors trawled through millions of government files comparing employee payrolls, social security, pension and housing benefit payments, concessionary travel passes, taxi licences and domestic rates to uncover any potential fraud. The two year investigation, which ran from April 2010 until March 2012, identified 489 cases involving rates evasion and overpayments totalling £13m, 333 cases involving more than £5m in housing benefit fraud and overpayments as well as 40 cases of pension fraud and overpayments totalling more than £2m. However the report reveals that fraudsters have been allowed to continue working in the public sector – even after they have been found guilty of stealing tens of thousands of pounds – because public agencies refuse to alert each other about their employees’ convictions. • One public sector worker who received a suspended sentence for fraudulently claiming more than £49,000 in benefits for six years. • A civil servant who claimed more than £30,000 incapacity benefits for 11 years. Prosecution was not pursued for medical reasons and none of the money was recovered. • Another public sector employee who fraudulently claimed £73,000 in benefits for nine years. • A civil servant was given an 18 month suspended prison term after fraudulently claiming £19,000 benefits. However the full extent of how many convicted fraudsters are working within the public sector may never be known as auditors themselves also rely on government agencies to inform them of employees found guilty of theft. As the department with responsibility for combating fraud at Stormont, the Department of Finance and Personnel (DFP) recently published guidelines in which it urged all public bodies to adopt a zero tolerance against fraud. However auditors found that government departments, including DFP, are ignoring their own anti-fraud guidelines. “Under NFI guidance, where successful prosecutions are secured, the employing body of the fraudster should be notified so that disciplinary proceedings can be considered. “NIAO has recently become aware that this has not been happening in Northern Ireland. DFP told auditors that while it accepted the “overall principle” of notifying government agencies that employees had been convicted of fraud it was still “considering” the issue in the context of wider counter fraud arrangements. IS ROADS SERVICE IGNORING A £3.6m BLUE BADGE FRAUD? The NFI report uncovered additional evidence that public bodies had overpaid 500 creditors by more than £386,000 during the two years under investigation. A total of £2m was paid to pensioners who were already dead. One education board was found to have made £70,000 in financial errors, while another health trust made a £30,000 duplicate payment to one creditor. Two local councils and a third agency made duplicate payments totalling nearly £47,000. 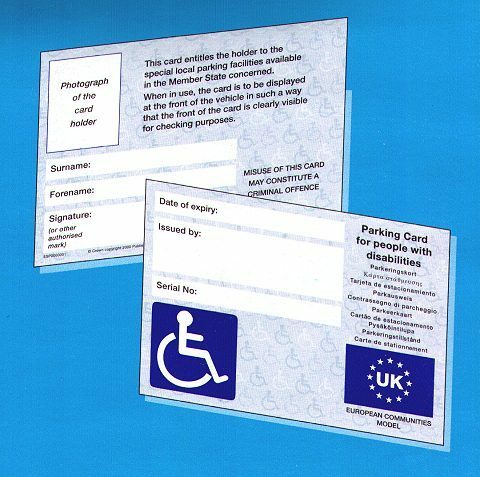 However auditors expressed most concerns over the Roads Service’s management of a Blue badge scheme for disabled drivers. An estimated 21,000 of the 104,000 Blue badges issued in Northern Ireland are thought to be used fraudulently. When data relating to Blue badge holders was matched against official death records more than 7,319 potential cases of fraud were identified. When alerted Roads Service investigated 157 of these cases. While the department said no fraud was found in any of the cases, all of the badges were cancelled. However auditors estimate that a potential £3.65m could be saved if the 7,319 Blue badges were cancelled in an effort to prevent them being sold on the black market for an estimated £500. However DRD claimed NIAO’s belief that the 7,000 Blue badge could be sold on the black-market was “highly unlikely” and was also “disrespectful” to relatives of the deceased badge holder. NIAO concluded that a “more likely explanation” was that the badges simply hadn’t been returned to Roads Service for cancellation. It also noted that Roads Service had been unable to estimate how much the abuse of blue badges was costing the public purse. “We consider that the NFI should be given a higher priority by Roads Service,” it said. In marked contrast, auditors identified 15,000 cases in which free travel passes for pensioners were still being used despite the pass holder being deceased. By March 2012 more than 14,206 of the passes had been cancelled. “Fraud is an ever present threat. “It continues to rob the public purse of vital funds needed for the provision of goods and services. 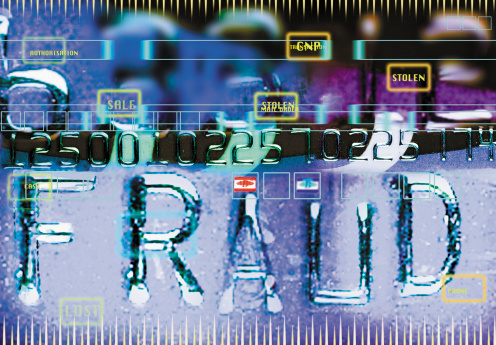 “Fighting fraud must take on a new urgency in the current economic climate.